…Well not really, but I tried. 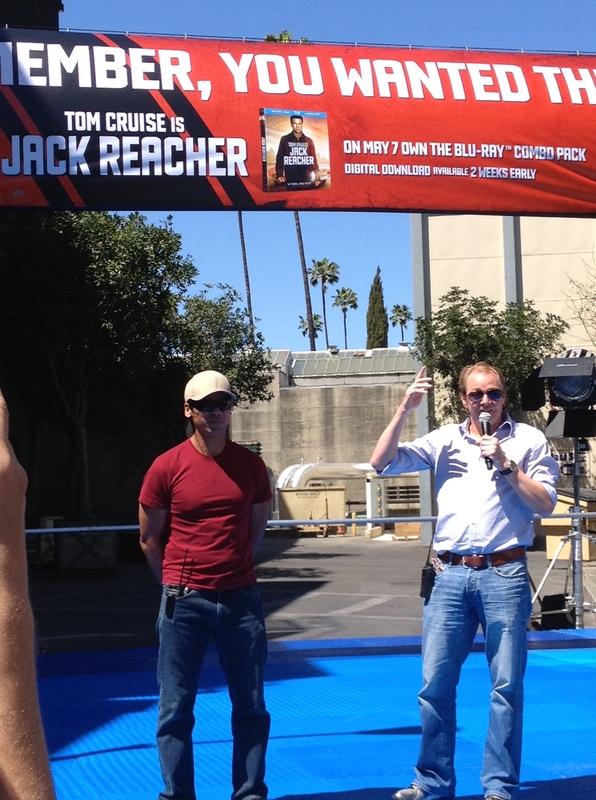 You might remember I mentioned last week about the Jack Reacher training day I was going to for work. 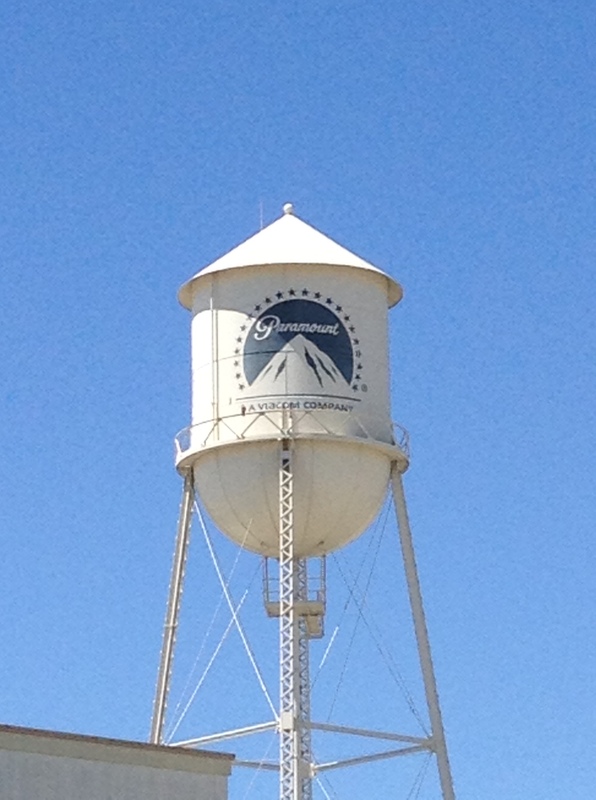 It took place on Wednesday at Paramount Studios in Hollywood and was way more fun than I expected. 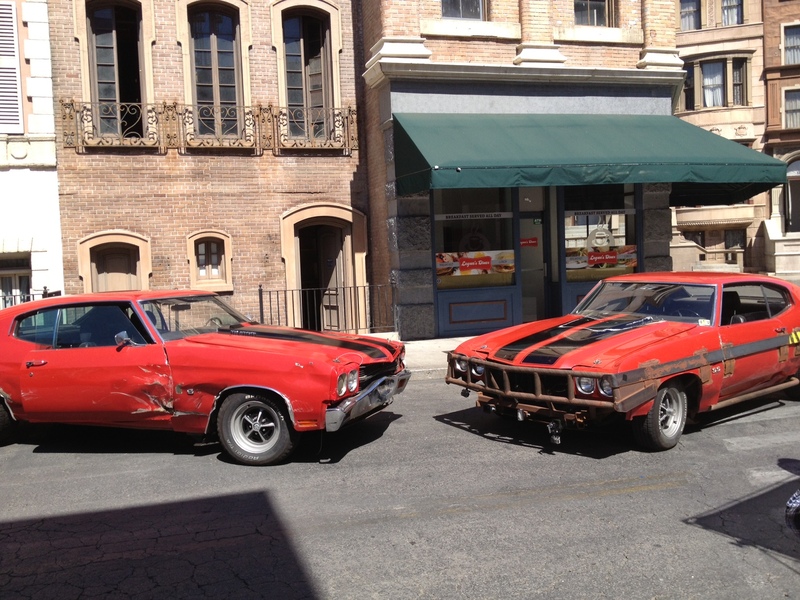 First of all, it was pretty great to get to spend the whole day on the lot. We were on New York Street, which as you would expect, is designed to look like typical New York streets, with everything from apartment buildings to a subway entrance. Every time I step on to a movie studio lot I consider quitting journalism for anything to do with the film industry, as they’re just such magical places to be. But unfortunately that’s not likely to happen! 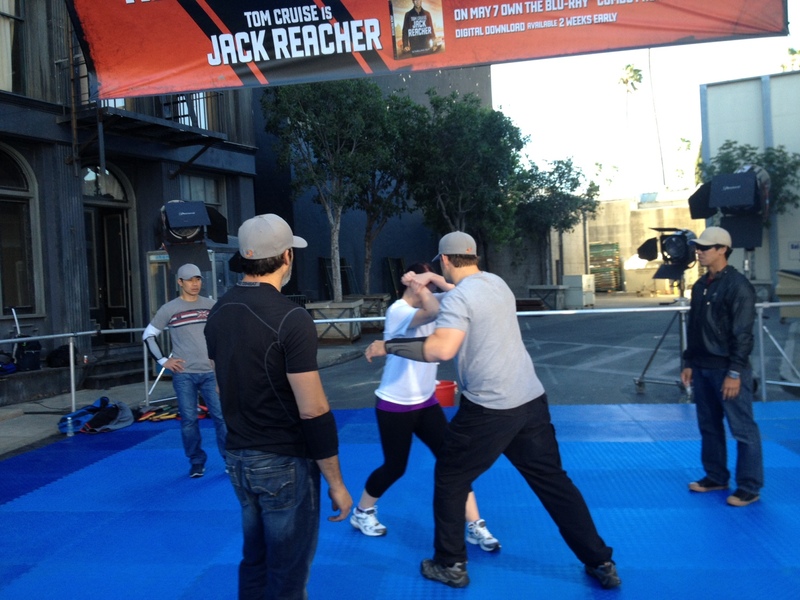 Anyway, Jack Reacher has Tom being his usual action star self, doing everything from stunt driving to winning fights even when he is hopelessly outnumbered of course. Joey Box from the stunt driving team talked us through the car chase scenes that Tom took part in and we even got the chance to drive around the lot in the iconic V8-powered Chevrolet Chevelle from the movie. An environmentally conscious car this is not, I was practically choking from all of the fumes it was giving off but it is pretty badass and looks awesome. There’s one scene in the movie where Jack Reacher faces off against five guys, memorably saying ‘Remember, you asked for this,’ before taking out three while the other two run off in fear. We had Rob Alonzo [assistant stunt coordinator and fight coordinator] and his stunt men perform this sequence for us and they even taught us how to do it ourselves. They showed a basic 10 step plan which after practicing [a lot] we acted out, with them as the bad guys, and the whole thing was recorded. I will not be posting it here as I look like an absolute idiot but it was so much fun and the guys couldn’t have been any sweeter. Even though most of us were terrible, they were incredibly encouraging and threw themselves into every take so we all got some fun footage. Many of these guys have worked with Tom in the past and not surprisingly the overwhelming consensus is that he is “intense”. They said he’s better than many of the stunt guys out there and would be on set working on his fight scenes until 2am before being back at 6am for shooting. That’s dedication but after I struggled to get the 10 steps for one tiny fight scene right, I can only imagine how much work goes into doing all your own stunts for a full movie. I might not agree with his insistence on sticking with scary Scientology but I definitely don’t doubt Cruise’s work ethic! 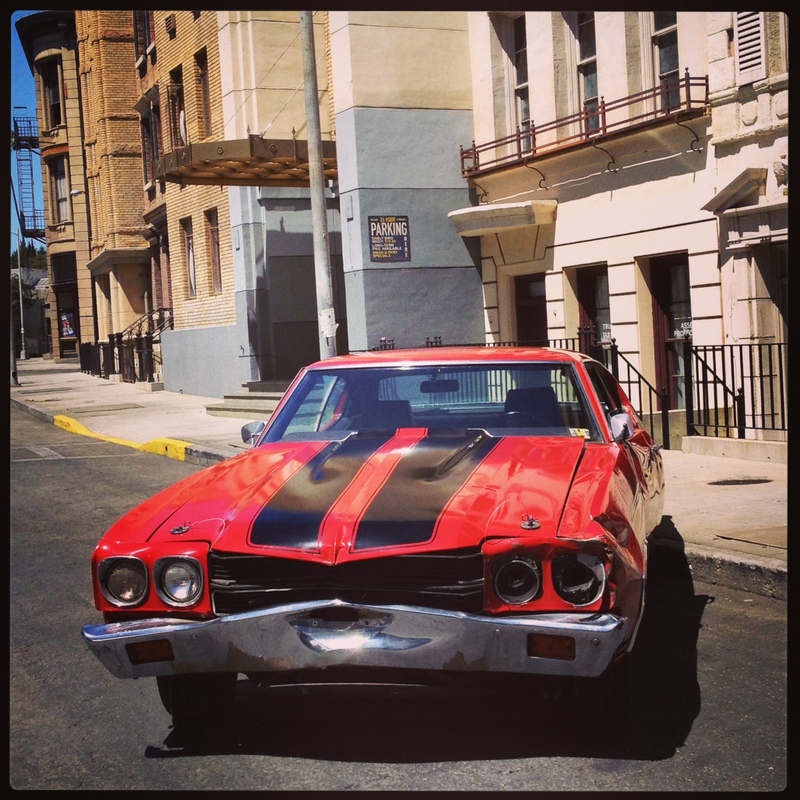 This entry was posted in Interviews and tagged DVD, Jack Reacher, Joey Box, Paramount Studios, Paul Jennings, Rob Alonzo, Scientology, stunt, Tom Crusie, V8-powered Chevrolet Chevelle. Bookmark the permalink.